If you’ve ever lived elsewhere, such as in the Northeast, you’ve probably had a basement in your home and had to worry about occasional flooding. In Arizona, though, it’s commonly known that few people have basements. Fair enough. Can an Arizona home still experience flooding? You bet! All it takes is one pipe to burst somewhere and rooms can be filled with water unexpectedly. Water is not good for homes unless it’s contained where you want it to be. Therefore, when flooding occurs, water sneaks into areas where it can cause damage. These areas include the insides of walls, under baseboards, window sill plates and even into subfloors. The longer water is allowed to hang out in these places, the more likely mold will take hold. When you have a mold problem, it gets very expensive to clean it out. If you don’t address the mold problem, it can be very bad for your health. So where are the places in your home where flooding is likely to get its start? Think about your indoor plumbing, air conditioning unit(s), and washing machine. One leaking pipe can cause a whole host of damage. Temporary fixes often give out, so it’s best to have professional repairs done before the problem(s) get worse. In Arizona, everyone uses air conditioning. When clogs form inside of your unit’s condensation drain line, that’s when water backs up. It’s looking for a way out, and since there’s a clog, flooding can occur. When’s the last time you had your unit’s drain line checked? Next time you’re near your washing machine, look for any leaks around the water hose(s). Sometimes the water hose will crack or dry out, leading to leaks and flooding. 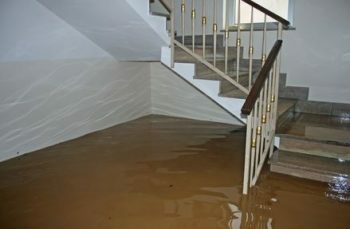 Should flooding occur in your home, take photographs. These pictures can help if and when you deal with insurance companies. Furthermore, call Rapid Response Restoration at 602-466-2619 for emergency water removal services.